If you find yourself dealing with a drug addiction, whether it’s you or a loved one with the issue, then you may have a lot of questions about different aspects of addiction or drugs. One of the confusing mix-ups that people often make is distinguishing between opiates and opium. What is the difference between the two? Opium is the initial substance derived from a poppy plant, and according to the DEA, it is an extremely addictive narcotic. 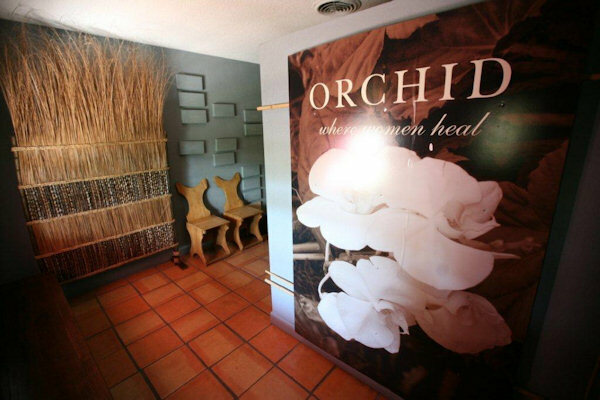 It has a very intense effect on the mind, creating a euphoric rush and then a relaxation and relief from physical pain. It can be used in combination with other drugs to create different effects, but the dangers of overdose and negative side effects are very present with opium. Although someone may misuse opium for its euphoric side effects, it is also important to understand the negative effects of chemically altering the brain with a drug. Repeated use over time can lead to an addiction, and if you head down that road it gets more and more difficult to get your life back to normal. If you or a loved one are already struggling with the fight against addiction, call 800-405-7172 to speak with a specialist about your situation and see what your next steps are! Opium is an addictive narcotic derived from the poppy plant. 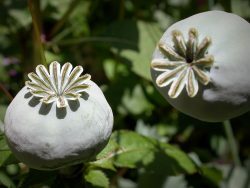 Extremely similar to the definition of opium, opiates are also derived from a poppy plant, but according to NIDA, these are specifically drugs such as heroin, morphine, and codeine. While opium is the actual substance derived from the plant, opiates are the drugs that are made and used as a result. For many years, opiates were used to relieve pain, and when prescribed properly by a physician and taken for a very short period of time they will not cause addiction. However, when they are misused, these drugs can be extremely addictive. Despite the slight differences between opium and opiates, both of these can be extremely addictive and lead to withdrawals, so the next question to arise is what to do about that? According to NCBI, Methadone treatment is an effective way to treat opiate addiction. Methadone is an opiate agonist, meaning it takes up the same receptors in the brain as heroin or another opiate would. Methadone reduces a user’s craving for the addictive substance, but without producing negative side effects or hindering regular abilities. This allows the addict to go through treatment without horrible withdrawal symptoms, though one has to be cautious of relapse if ever stopping Methadone treatment. When used carefully under a physician’s guidance, Methadone treatment can be an essential step towards treating opiate addiction. If you or a loved one are struggling with opiate addiction, just call 800-405-7172 to speak with a caring specialist who can answer your questions and concerns. Don’t hesitate to begin searching for treatment options, as it is never too early to start looking for a happier, healthier future free from drugs or addiction!